The Hsinchu base is a brand new top secret $1.2 billion radar facility in Taiwan. 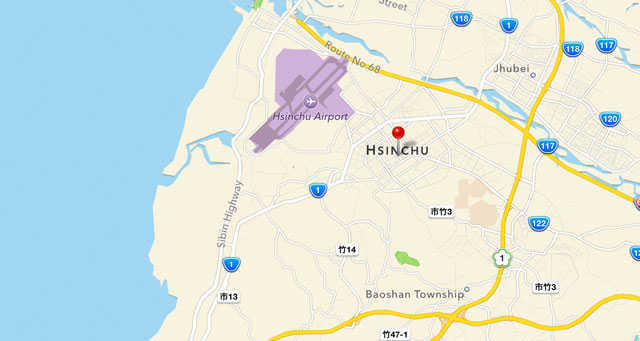 The above image is a screen shot of Apple’s iOS Maps that clearly shows the location of this military base. Since this was located using Apple’s new mapping software, that means there are millions of people with access to satellite images of a classified military facility. The Hsinchu base houses a cutting-edge long-range radar procured from the United States in 2003. Construction of the radar is expected to be completed by the end of the year. The ultra-high-frequency radar, supplied by US defence group Raytheon, is capable of detecting missiles launched as far away as Xinjiang in China’s northwest, military officials say. They say the radar, which cost $1.23 billion, is designed to give Taiwan minutes of extra warning in case of a Chinese missile attack.